QCD is reliable and simple and provides excellent performance up to 26GHz. QCD offers great advantages in terms of ease of use, performance, and setup/calibration. This solution guarantees 5,000 matings which is 5X the industry standard. This guaranteed mating performance will provide longevity for test cables and will reduce cost because test cables will not need to be replaced as often when using QCD. QCD also provides a secure, tactical and fast connection system which saves more time for testing and less time in setup and calibration. Testing efficiency is increased with repeatable performance which makes QCD an effective solution to address your testing needs. Radiall also offers complimentary products to supplement your testing lab requirements. 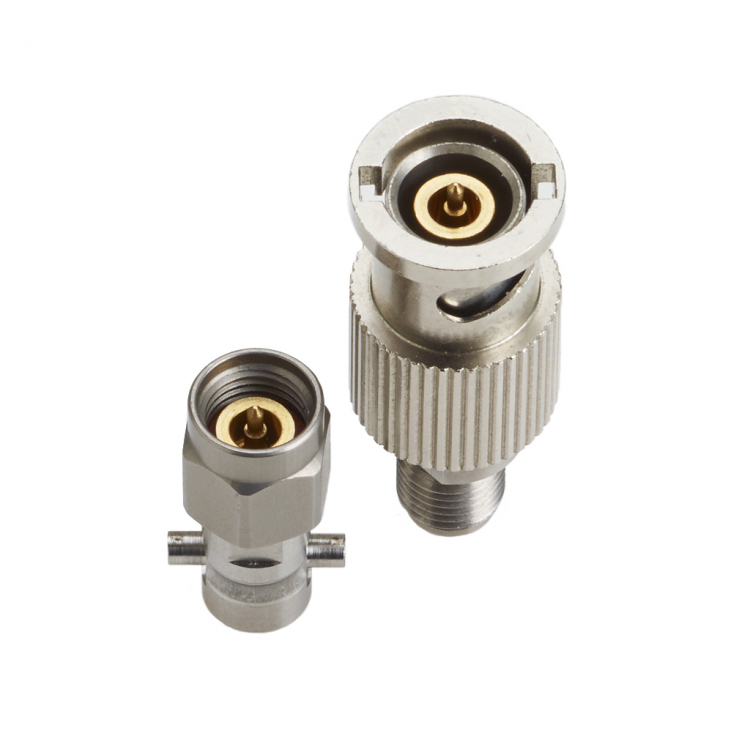 Our expansive product portfolio includes; high performance Test Pro assemblies, attenuators, terminations, couplers and adapters.